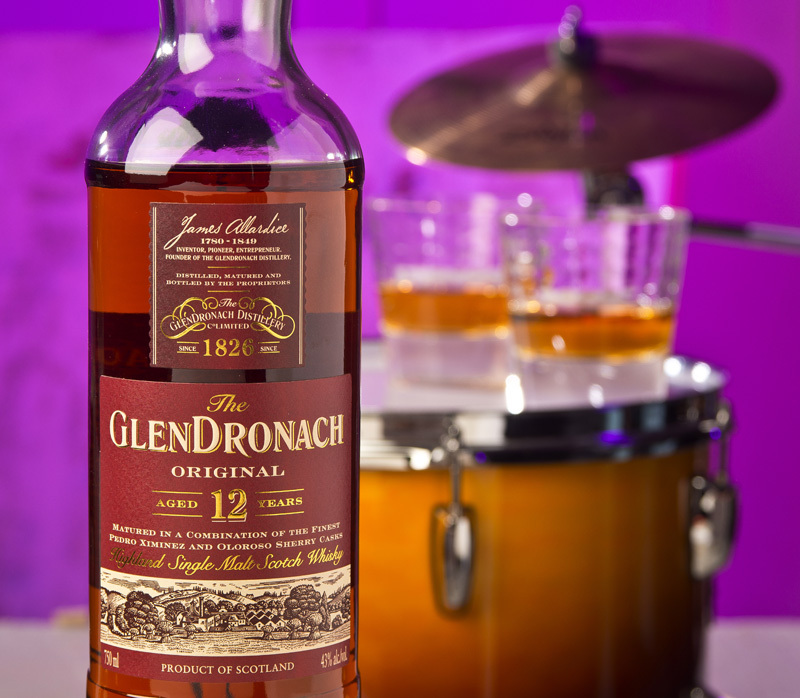 GlenDronach 12- It has been a tradition to offer up a dram about mid way through a practice session and this bluesy malt was one of the chart toppers. The deep amber color perfectly matched the vintage fade on my drums and the nose was ultra sweet with toffee notes and some vanilla overtones. The taste was a crescendo of flavors with a staccato pepper beat and a powerful finish. My suggestion is to enjoy this bold flavored malt with a Jeff Beck CD and some like minded folks as the music in your glass would be enhanced and the experience would linger on into the evening. See if you can identify the fruit overtones and send your comments back, I love the feedback. Try not to rush the tempo of your drink and just enjoy it mellow. I rate this amber beauty a solid 9.